Cox. Leslie Erwin Plumbtree, son of Mr. and Mrs. W. D. Plumbtree, attended Frederick High School. 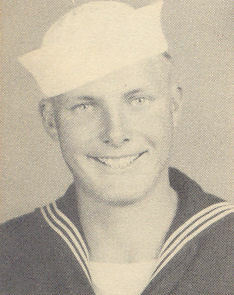 Entered the Navy in Dec., 1943, trained in San Diego, Cal. ; served in Pearl Harbor, Saipan, Iwo Jima, the Gilberts, the Solomons, the Marshalls, Palau, the Hawaiians; is now on duty in Okinawa. Awarded Asiatic Pacific Ribbon with four Battle Stars. (as per original 1940's publication).